This is such a pretty moss agate. 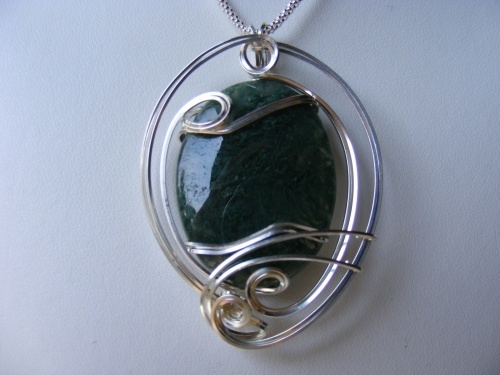 The hunter green color make it look so rich and hand wrapped in sterling silver. Measures 2" and comes with a 20" popcorn chain.